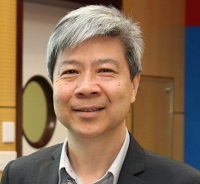 Prof. KONG Siu Cheung currently is Professor of Department of the Department of Mathematics and Information Technology (MIT); and Director of Centre for Learning, Teaching and Technology (LTTC), the Hong Kong Institute of Education. Prof. Kong is at present serving as the President of the Asia-Pacific Society for Computers in Education (APSCE). He currently is also serving as the Editor-in-Chief of the international journal Research and Practice in Technology Enhanced Learning (RPTEL) and Journal of Computers in Education (JCE). Prof. Kong is also the Convener of Theory and Practice of Pedagogical Design for Learning in Digital Classrooms International Research Network (IRN) under World Educational Research Association (WERA).